Lehmann Audio has been in business since 1988 and became famous in the U.S. in 1995 with the introduction of their first phono preamplifier, the Black cube. They now have 6 different models ranging from the Black Cube Statement at $459 to the Silver Cube at $4699. 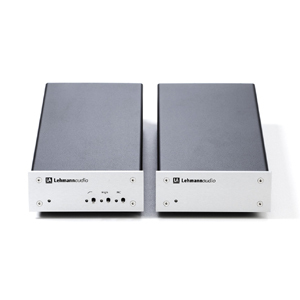 All of their phono preamplifiers are moving magnet- and moving coil-compatible, have configurable moving coil input impedance, and are designed and manufactured using the finest German engineering practices. Lehmann Audio also has 9 different headphone amplifiers ranging in price from the $499 Rhinelander and Traveller models, the latter being a portable model with rechargeable battery, to the $2199 Linear SE, their best-sounding model for the finest headphones. They also have two models with built-in USB DAC inputs, the Linear USB at $1319 and the Linear D at $1449. As with their phono preamplifiers, all headphone amplifiers are built to the highest German engineering standards.